Height: 2 feetThis enclosure does not have a cover. This unit is built to BSEN 14960:2013 therefore meeting all health and safety requirements and best practice for commerical hire usage. This unit also requires and extra 2 feet to the rear for the blower, along with 2 feet either side to peg/anchor the unit securely. No adults must use this enclosure as it is not insured for adult use. 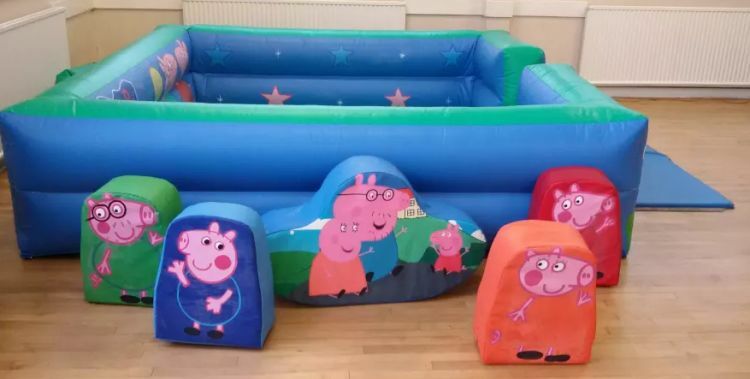 Add the Peppa Pig Castle for the older children!